Car Accidents involving Semi Trucks are more likely to cause severe injury and more frequently result in fatality. Truck accidents are often both more severe and also more complex legally then most car accidents. A car accident involving a semi truck and tractor trailer often causes more severe injuries to the passengers of the cars than a car vs. car accident. In addition, car accidents involving large semi truck tractor trailers also too frequently result in death. In 2001 7,857,674 heavy trucks were registered in the United States, accounting for 4% of all registered vehicles […] In 2002, 434,000 large trucks were involved in traffic accidents. Of those accidents 4542 involved fatalities. In 2002 according to Fatality Analysis Reporting System (FARS) arm of the NHTSA, there were 38,491 fatal car accidents. This means that while trucks only accounted for 4% of vehicles on the road according to the 2001 statistics, they were responsible for about 11.8% of car accident fatalities in 2002. These proportions and numbers change year to year, but the fact is trucks do pose a greater risk of serious injury and death when involved in a car accident on our roads. If you are involved in a truck accident it is very important to talk to an experienced Oregon truck accident attorney as soon as possible. An experienced attorney will be able to evaluate your truck accident personal injury or wrongful death claim and will be able to take steps to protect your claim and maximize your recovery. If negligence caused your truck accident, there will exist crucial evidence to prove your case. An experienced truck accident attorney will take steps to preserve the accident evidence so that truck accident investigation and reconstruction can be performed. It is important the truck and vehicles involved in the accident not be repaired before this investigation takes place. There are many types of negligence which may be a factor in a truck accident case. It is important to identify negligence in the truck accident and gather the necessary evidence to prove your case. If the truck accident was found to be caused by faulty equipment, the truck driver hauling an overweight load, jackknifing, driving too many hours, an experienced truck accident attorney will work with experts to prove the negligence for your case. An experienced truck accident attorney will be able to investigate and name the proper defendants in a personal injury claim. This can be very complex and require additional investigation. In addition to the driver, the trucking company employer or of the driver may also be liable in a personal injury or wrongful death case. Semi trucks are particularly dangerous in some situations. For instance, trucks cause a substantial risk to pedestrians and bicyclists at intersections when the trucks make right turns into the pathway of the pedestrian or bicyclist. The primary problem which makes the risk great particularly for pedestrians and bicyclists is that the semi trucks are large, may not be familiar with a pedestrian and bicycle saturated road while behind the wheel of a big semi truck. In addition, the height of the semi truck causes blind spots where the pedestrian or bicyclist may be completely hidden to the truck driver. To complicate matters, many pedestrians and bicyclists are unfamiliar with the blind spots that a big truck may have and do not ride defensively to avoid being unseen. Children in particular may be unaware of the potential danger that a right turning truck may pose. Unfortunately, when a semi truck turns right into an intersection with a pedestrian or a bicycle, the risk and danger of serious injury or even death is very great for the pedestrian and the bicyclist. 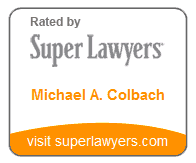 Portland injury attorney Michael A. Colbach is an experienced Oregon truck accident attorney with proven results. 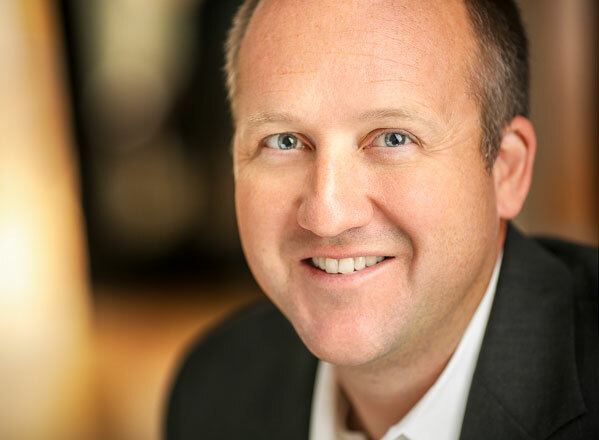 Mike also is an experienced bicycle, pedestrian and Oregon car accident attorney. If you've been injured in an accident, contact Mike for a free consultation as soon as possible so that your rights can be protected.